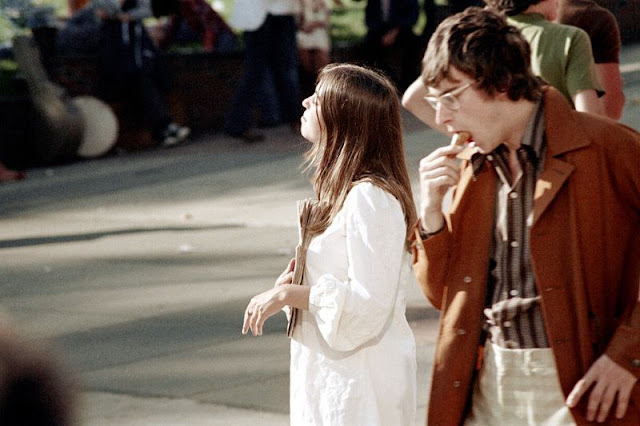 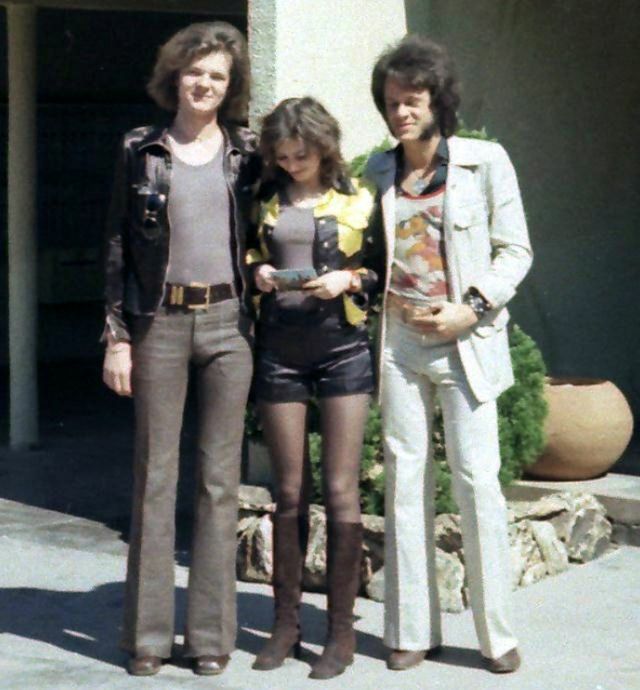 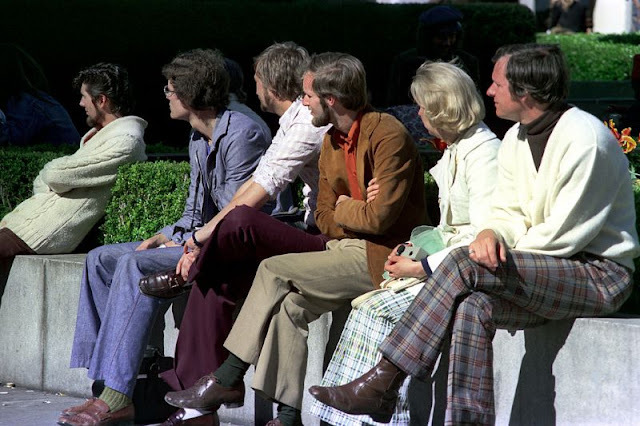 A leisure suit is a casual suit consisting of a shirt-like jacket and matching trousers, often associated with American-influenced fashion and fads of the 1970s. 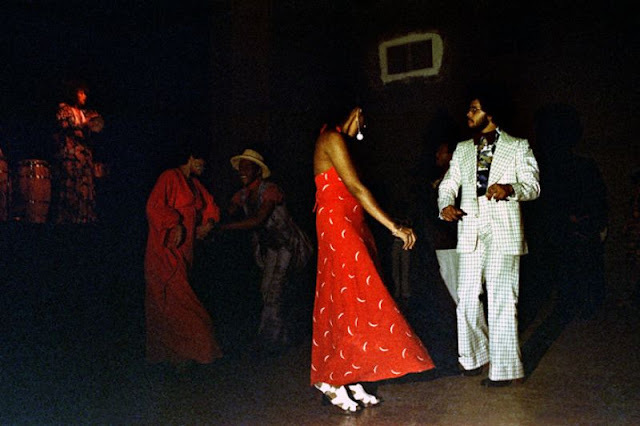 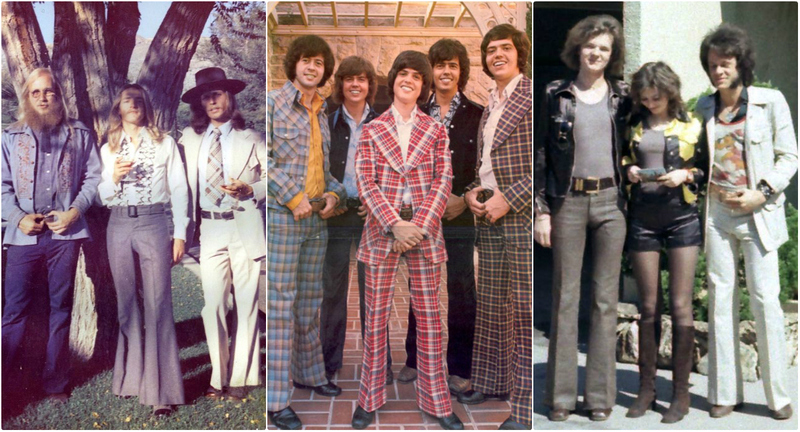 When it comes to the disco-heavy 1970s, one fashion trend jumps to mind — leisure suits. The casual suit became synonymous with the music trend thanks to John Travolta busting a move in Saturday Night Fever. 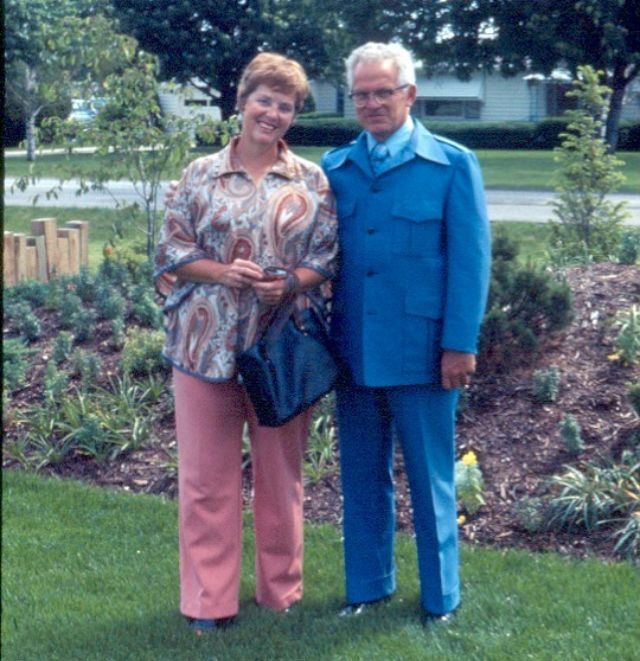 The fad has its roots in 1930s California, but it really took off when the creation of synthetic material allowed for inexpensive clothing prices. 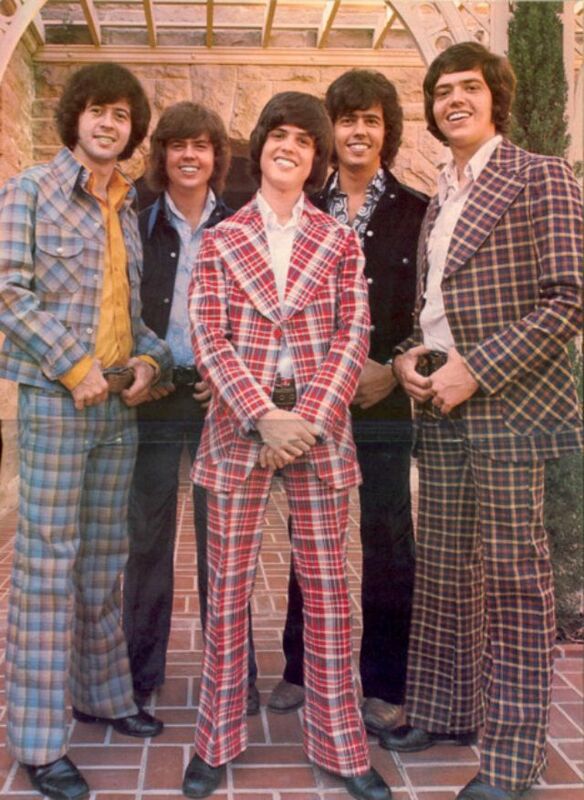 As the suits got more popular, the styles became more outrageous. 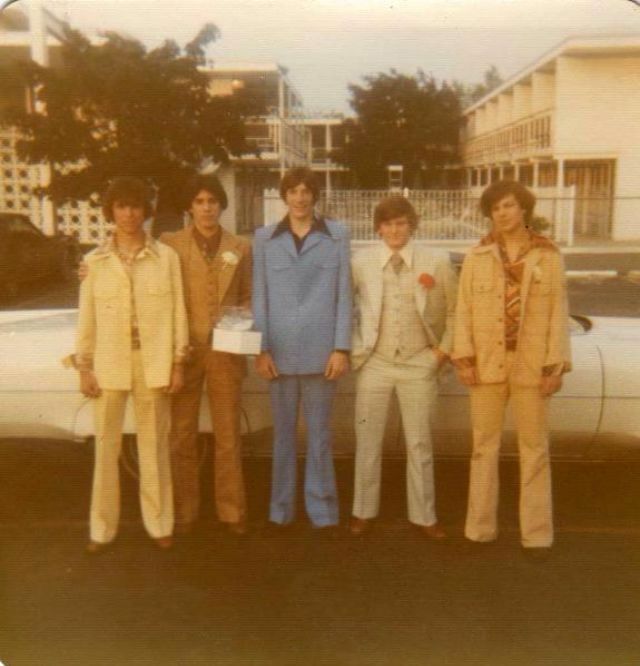 Solid white and blue suits were sold alongside vibrant colors and patterns. 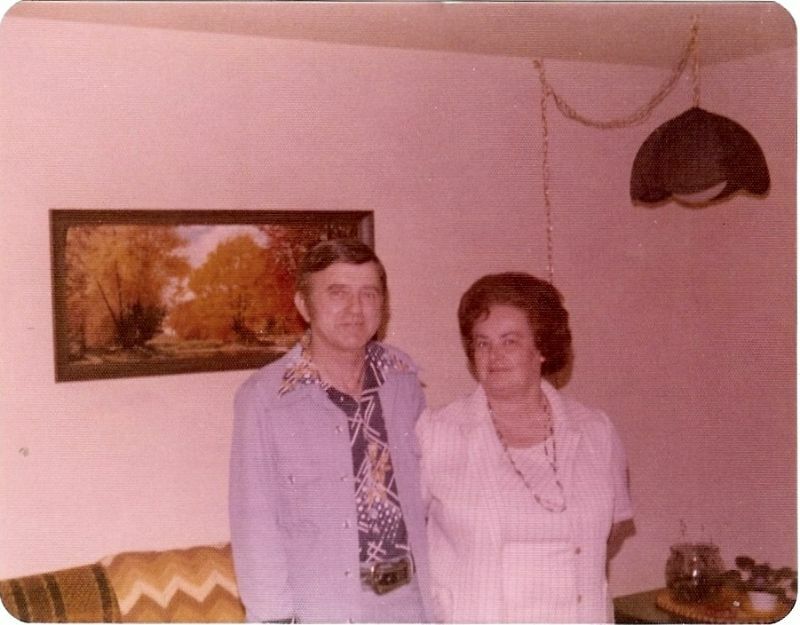 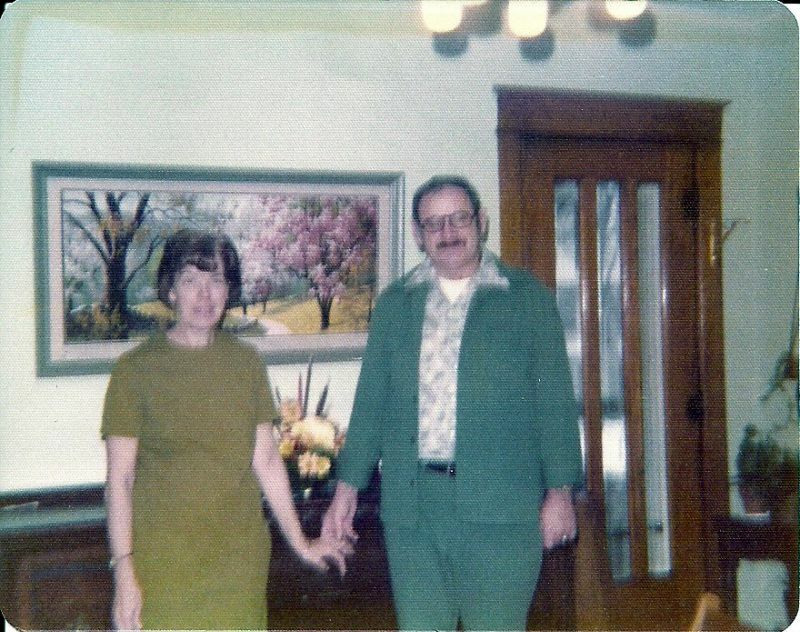 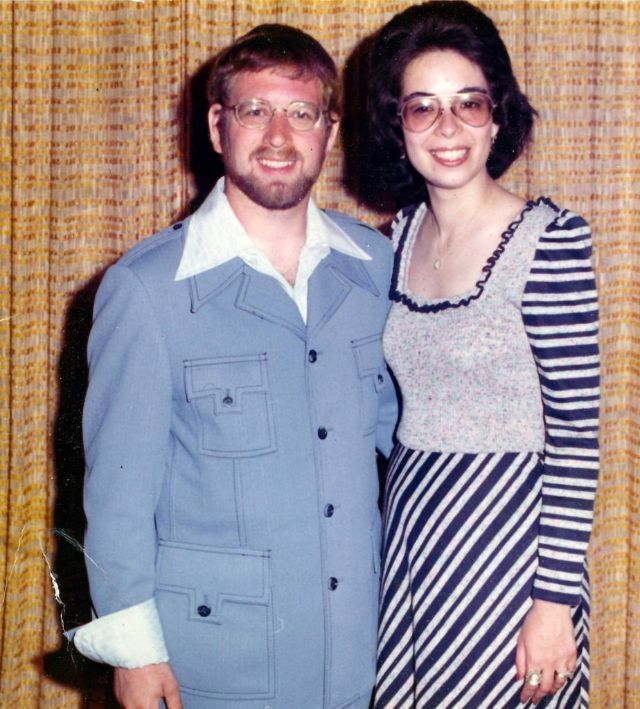 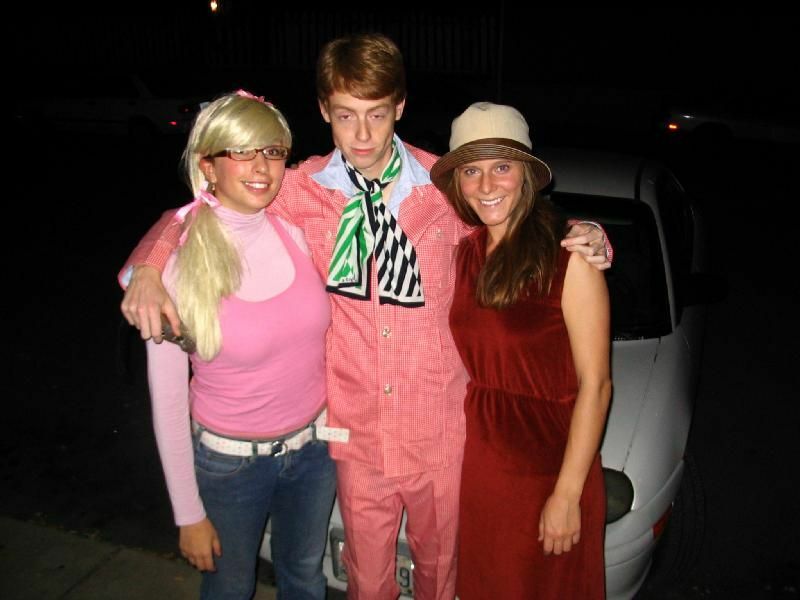 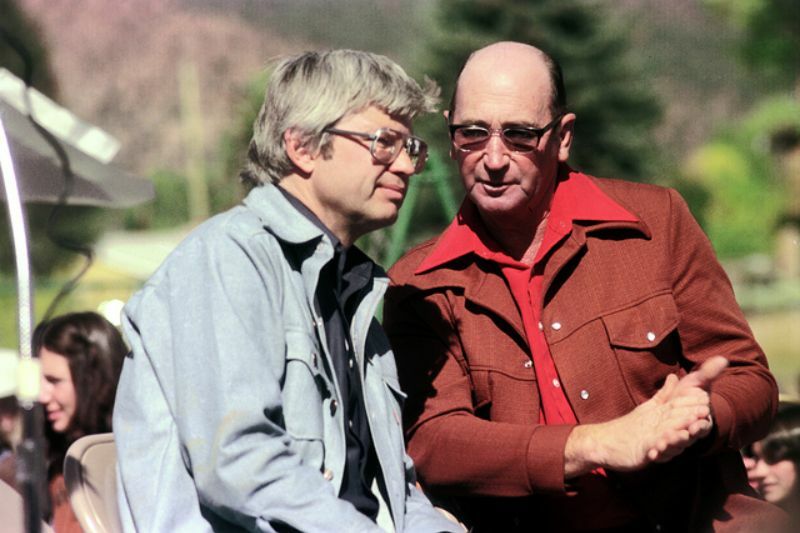 Leisure suits are still being offered and worn today, although not in the form of bellbottoms and pastel colors which came to be most associated with the term. 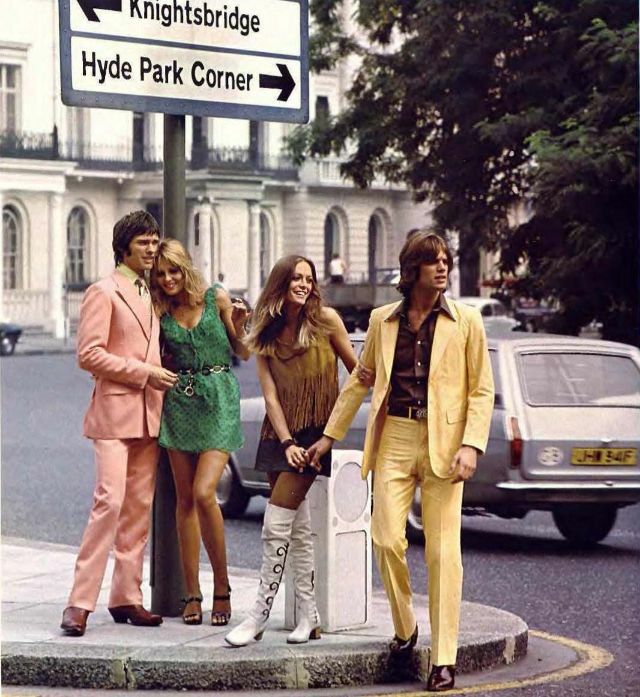 Also, progress since the 1970s, in technology of synthetic fabrics such as polyester, has resulted in the creation of new textures. 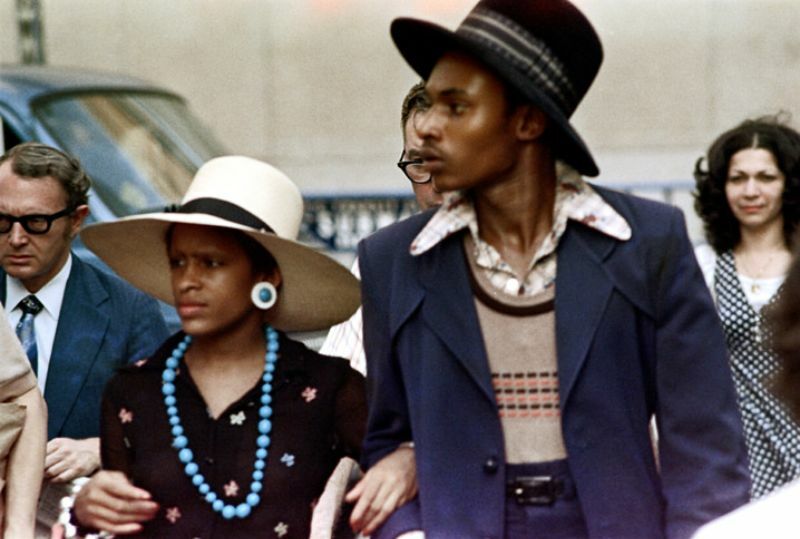 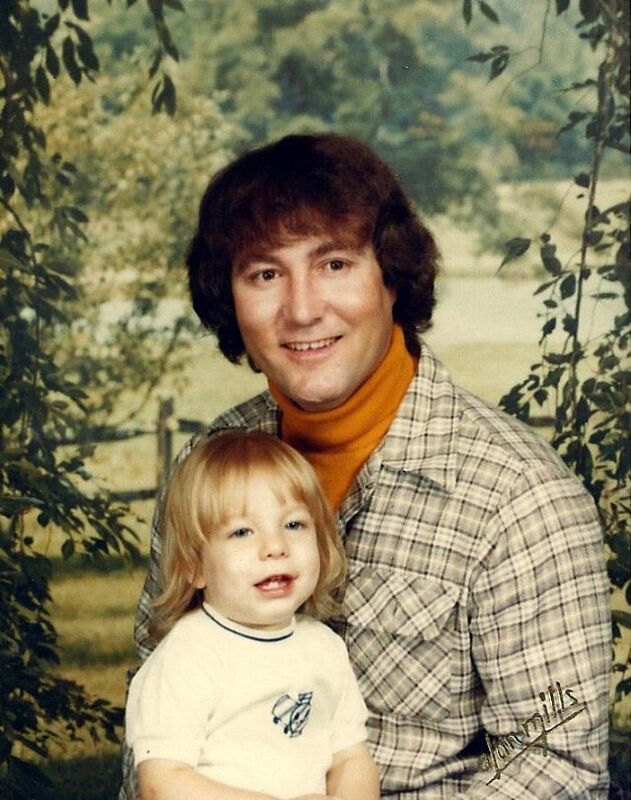 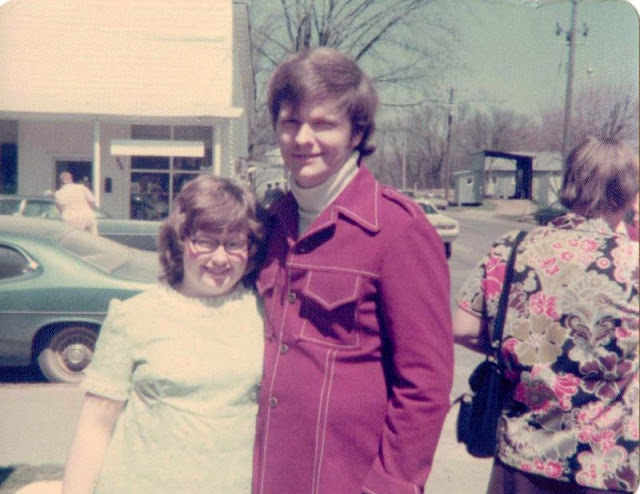 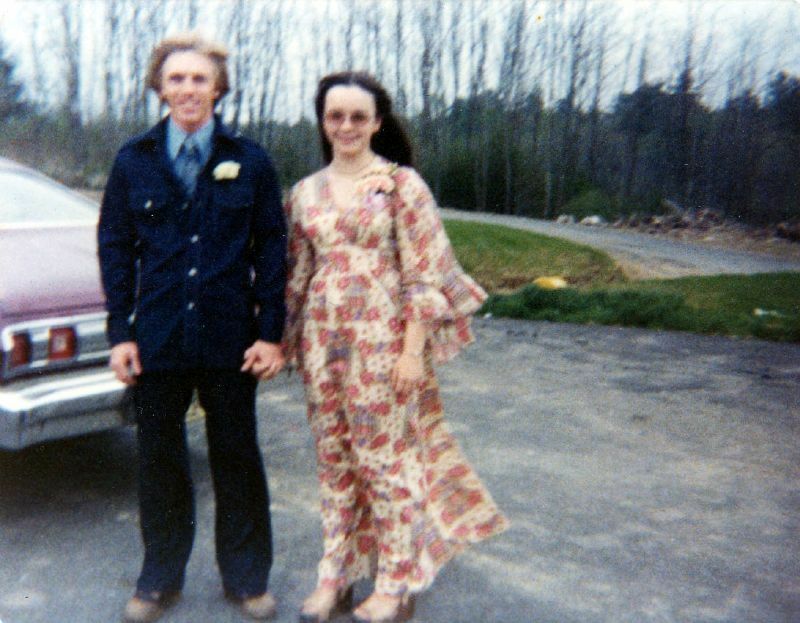 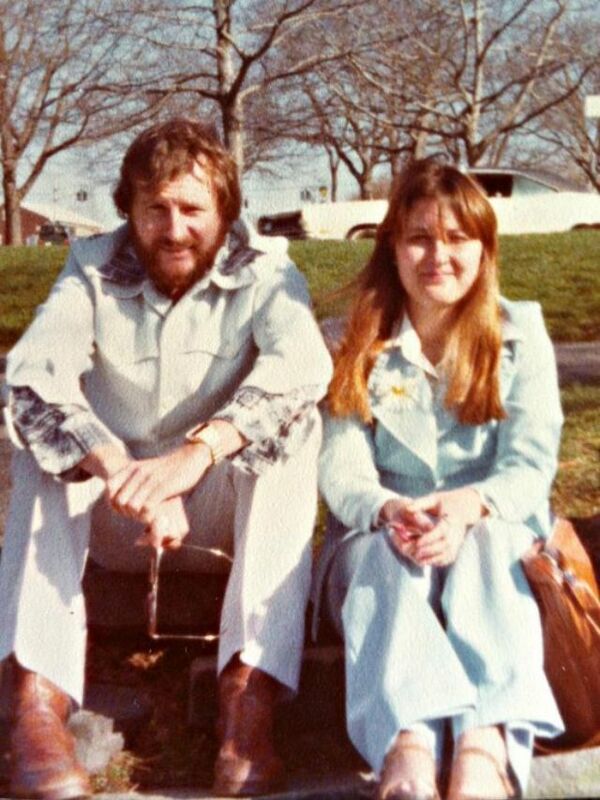 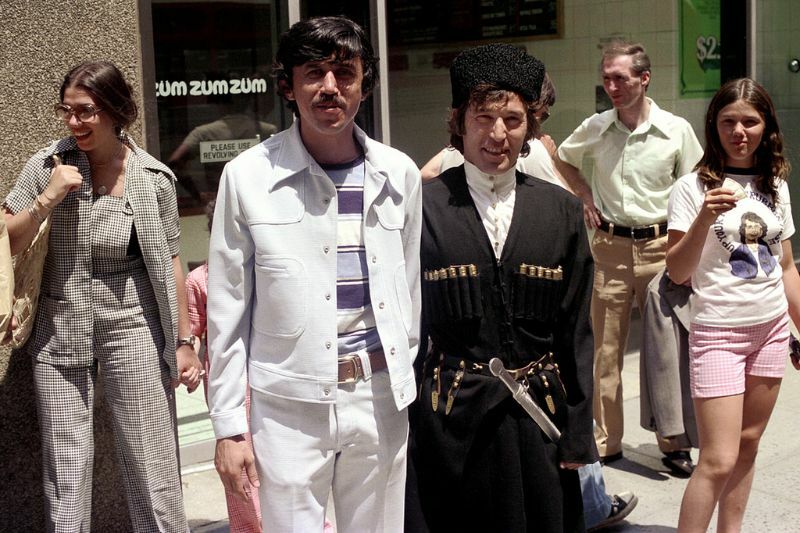 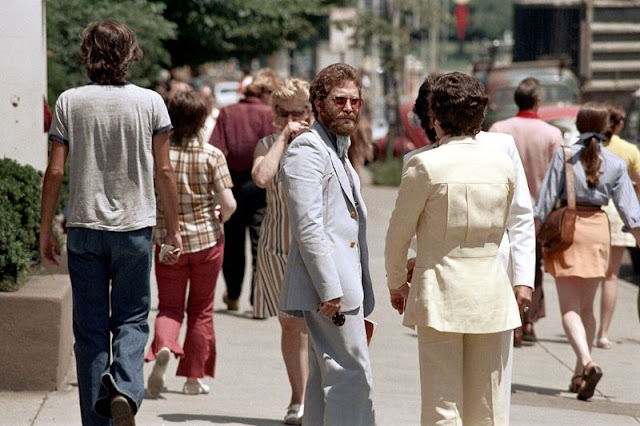 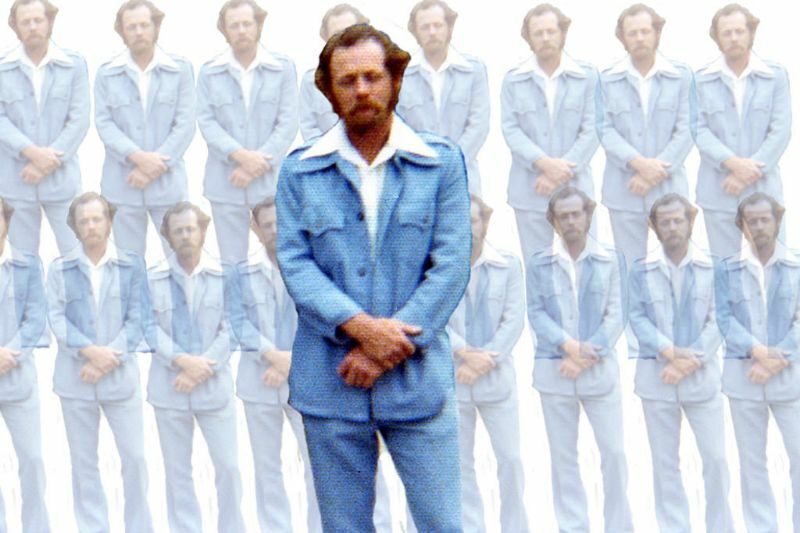 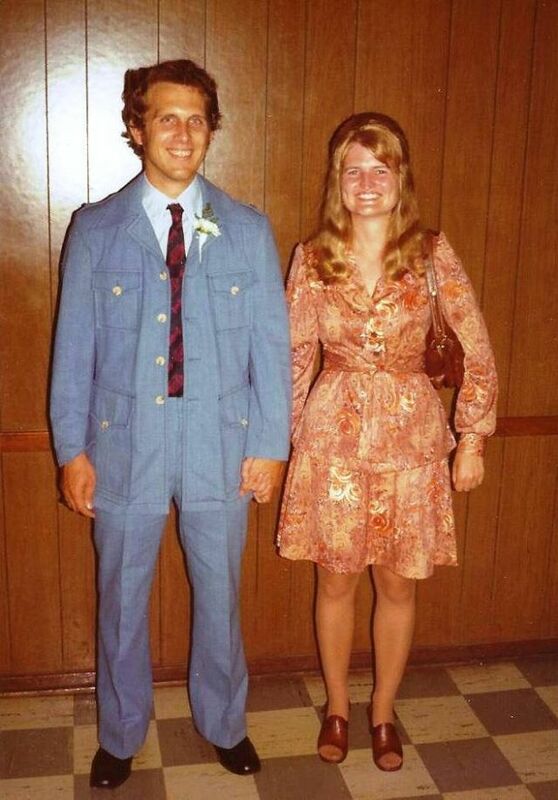 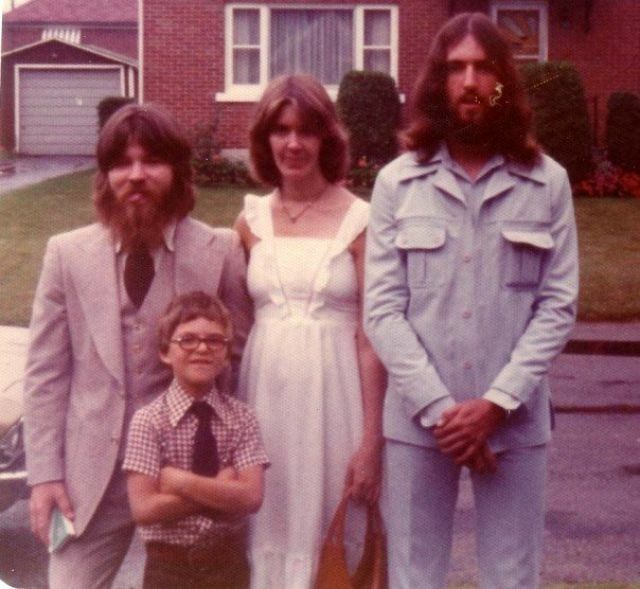 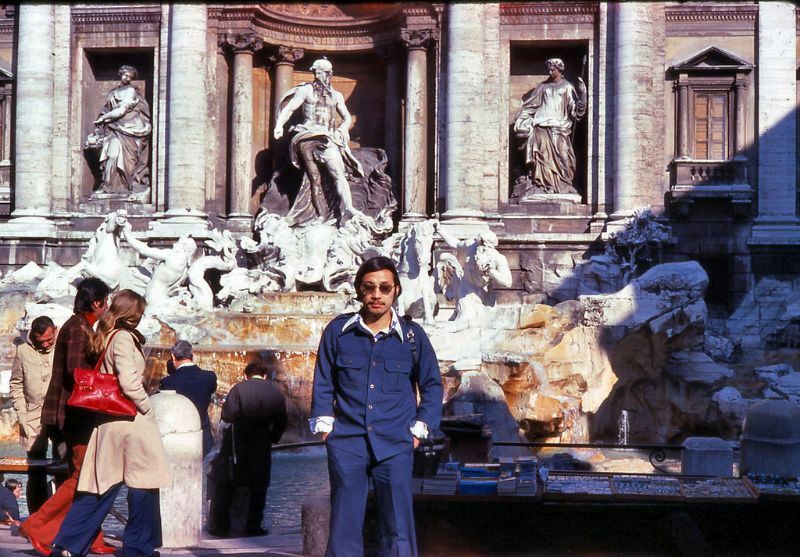 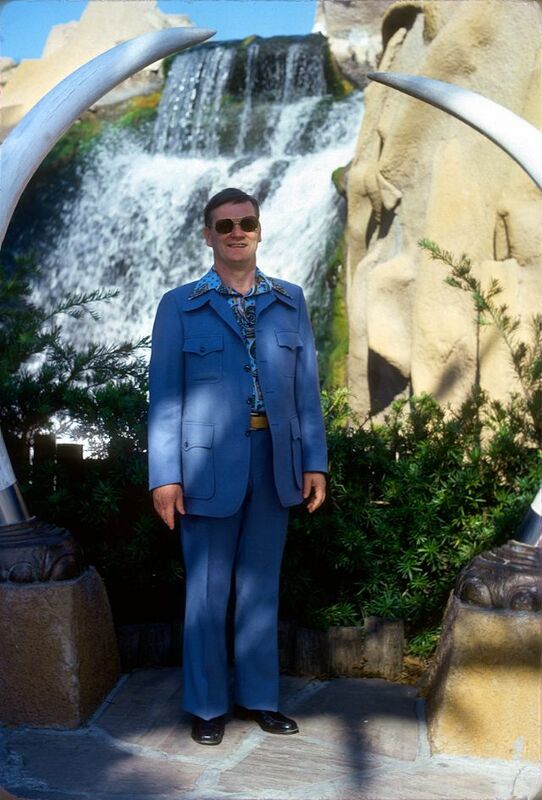 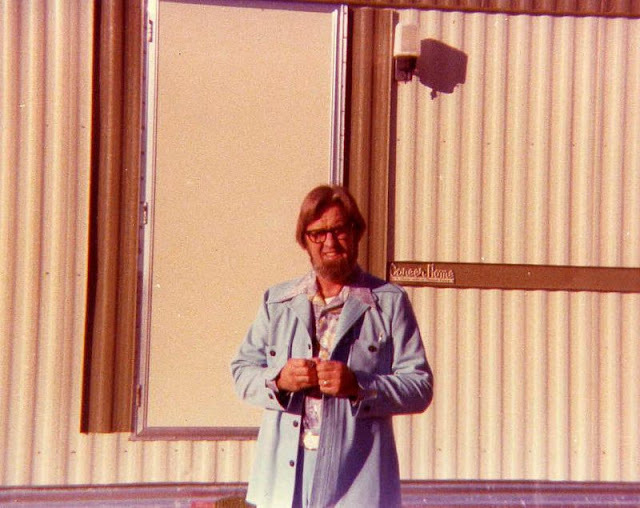 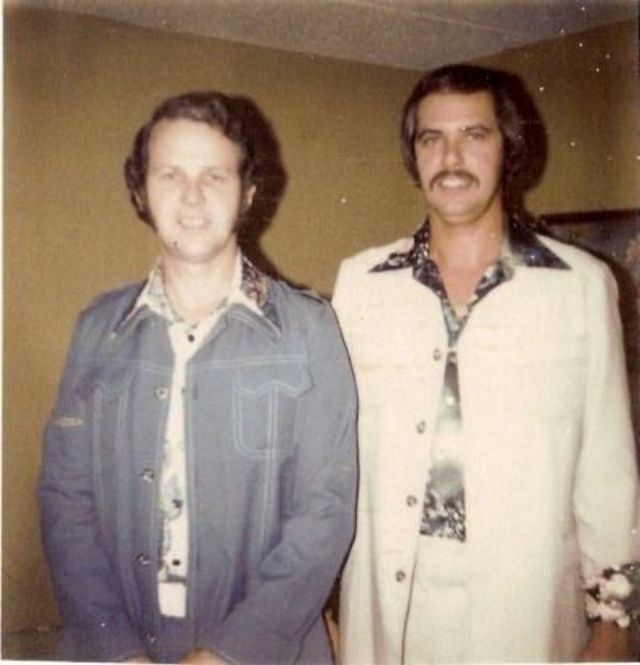 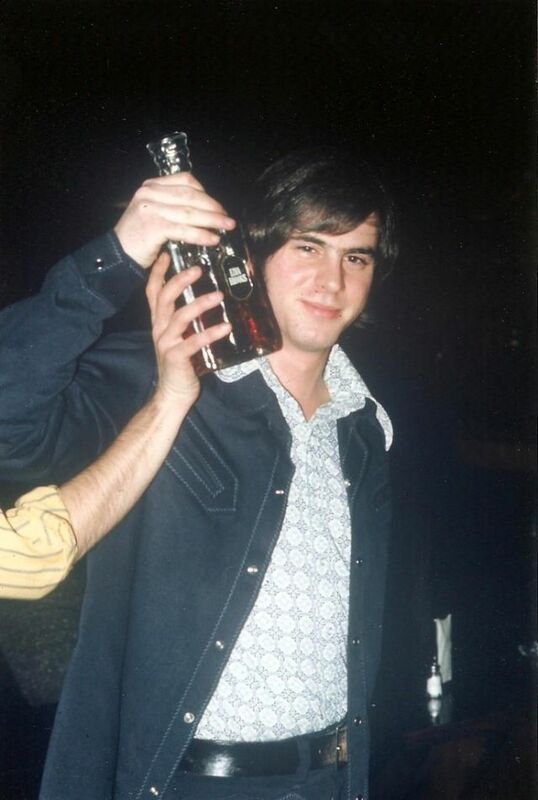 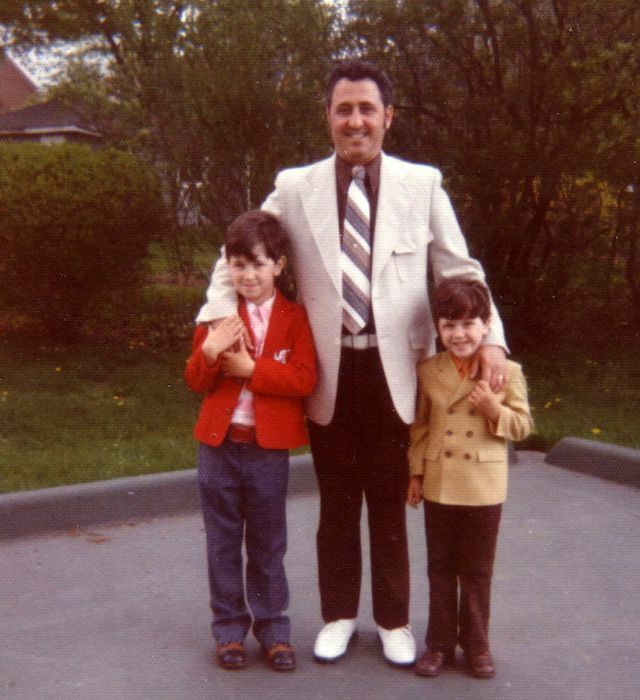 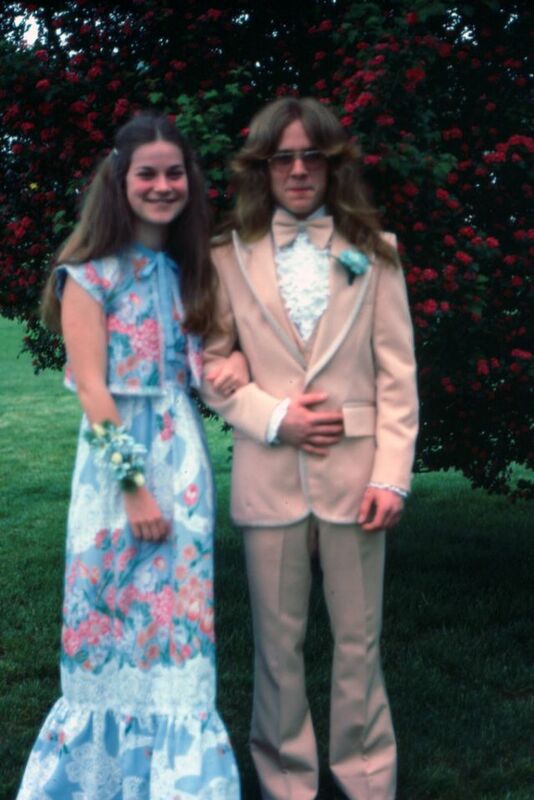 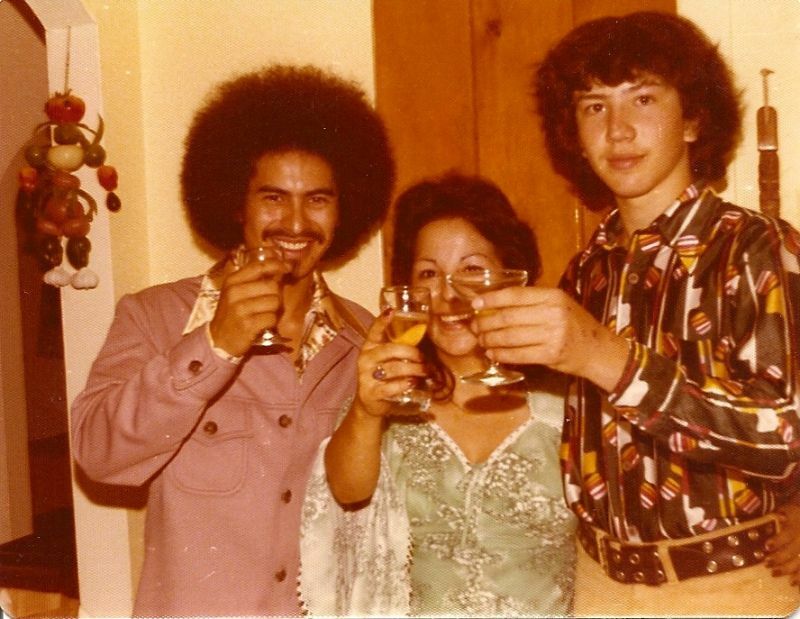 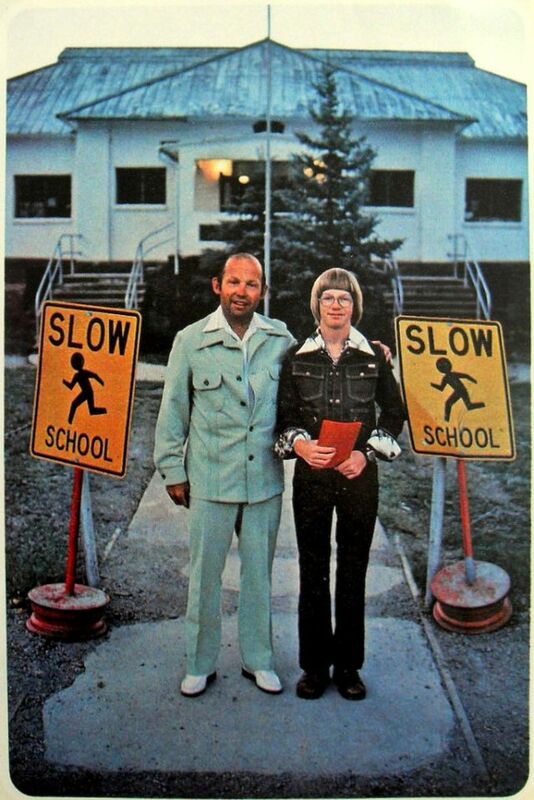 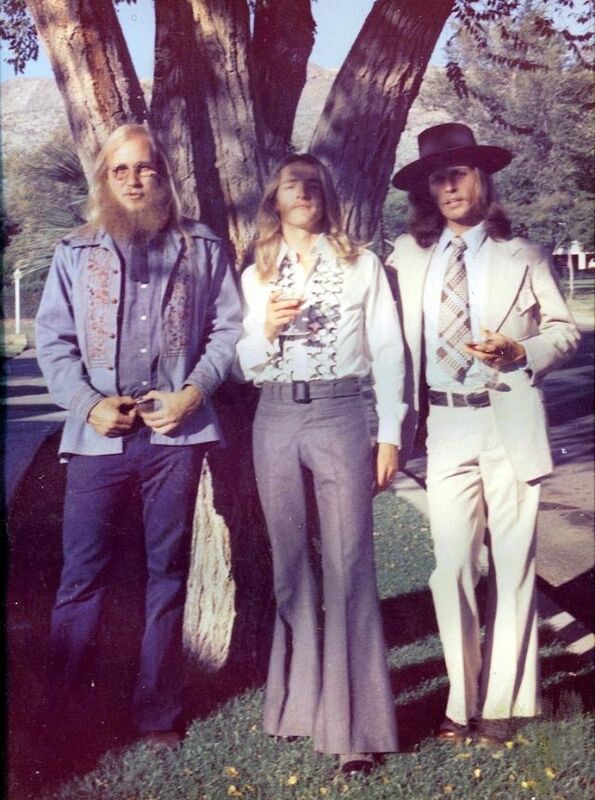 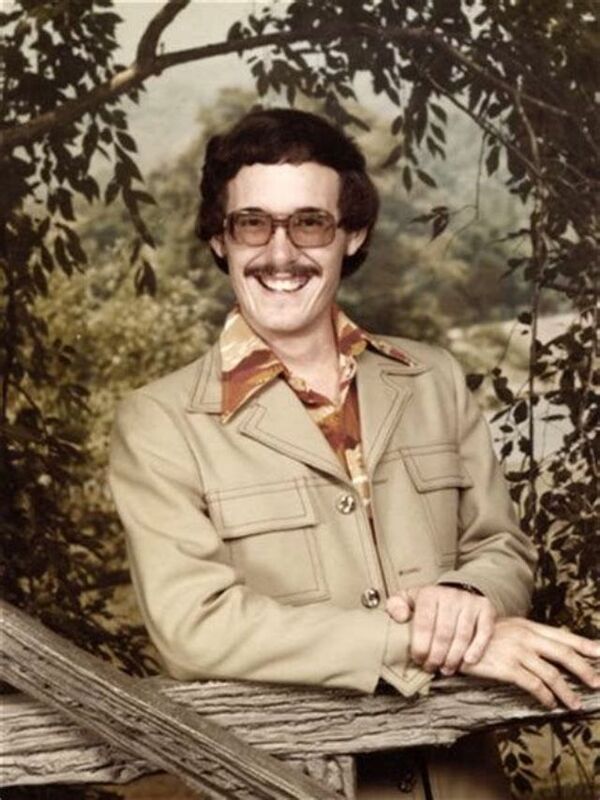 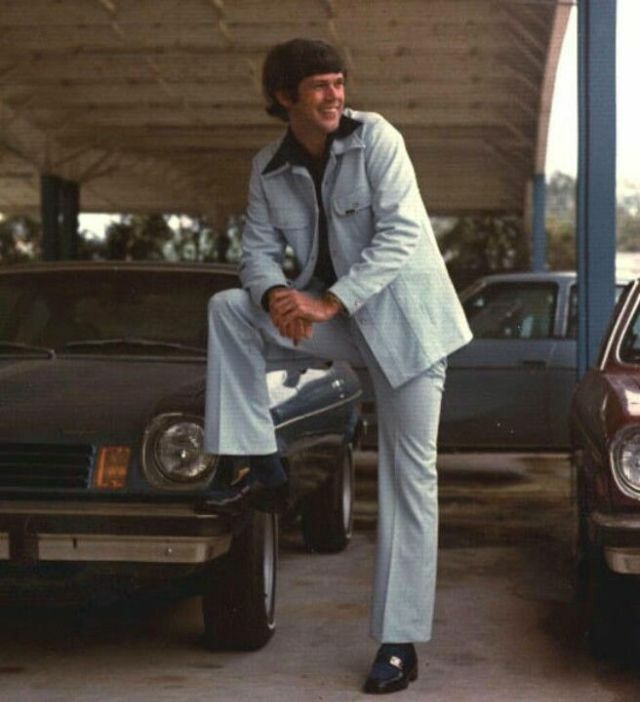 Take a look at these cool pictures to see men in their leisure suits from the 1970s.